The 2019 Spring Term will see the return of famed BBC Great Pottery Thrown Down finalist Clover Lee to Kite Studios. Clover will be hosting two Intensive Throwing courses geared towards complete beginners as well as those with more experience on the pottery wheel. The course is structured to allow aspiring potters to achieve their creative goals with tuition, equipment and materials provided. 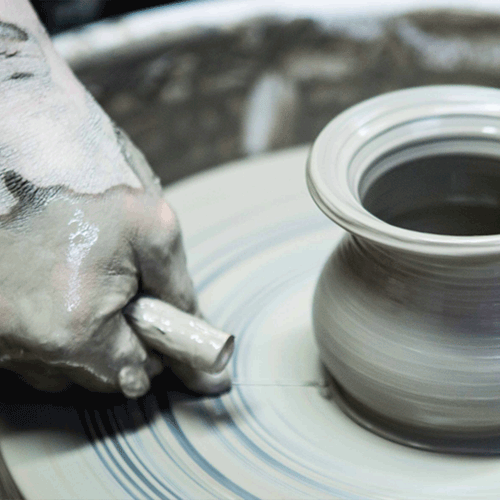 The first session aims to get potters familiar with working in a studio equipped with pottery wheels. Students will receive a guided induction of the studio, health and safety rules, throwing equipment, tools, as well as preparing clay for throwing, and basic throwing on the pottery wheel. In this session, students will continue practicing centering and will progress to practice making cylinders towards the second half of the session. The tutor will choose the best piece to keep from each student for the trimming session. Students will continue practising throwing cylinders in this session, aiming for better shapes and finishing. They will also be encouraged to make an identical pair of cylinders, which later can be turn into a set of mugs. The best two pieces will be kept for trimming session. Students will explore throwing bowl shapes, and will be encouraged to make a set of bowls, either identical shape and size or as a nesting set. The best four pieces will be kept for trimming session. Students will explore throwing tall objects, alternate shapes to achieve more complicated object such as vases and jugs. The best two pieces can be kept for trimming session. In this session, students will be guided to learn trimming and refining the shape of their works at leather hard stage. The teacher will demonstrate turning, and making and attaching handles. Those who wish to practice more throwing can choose to not trim their works but carry on throwing. 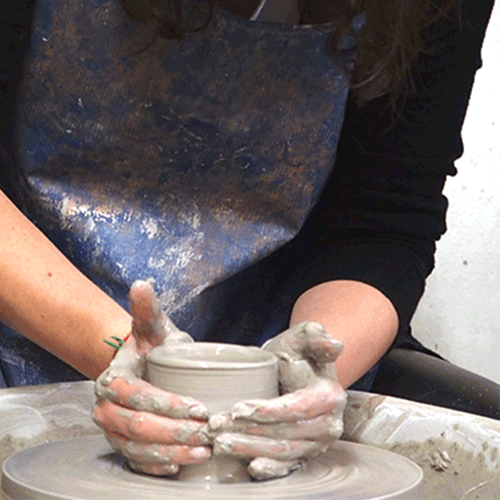 Pottery is a great skill to have and who better to be taught by than Clover Lee herself. Click here to book now and secure your place on this highly sought after class!